Dr. Wei Zhen led a research study at the Vanderbilt University School of Medicine. The results were recently published in the American Journal of Clinical Nutrition. They followed 69,000 Chinese women for 10 years. Some (about 19,000) drank green tea at least three times a week and others drank no significant amount of green tea. At the end of the decade of study, about 1,200 women in the study had developed some form of digestive system cancer. This could be colon, stomach or throat cancer. The research study did not separate out the results between the different types of cancer. The women in the study who said that they had been regular green tea drinkers for at least 20 years were 27% less likely to contract digestive system cancer, compared to their non-tea drinking cohorts. This was a statistically significant result. Women who drank green tea for merely a decade were 14% less likely to contract digestive system cancer. It is interesting to note that NONE of the study participants drank alcohol regularly or smoked cigarettes. No statement was made regarding any possible contribution from these facts, but it was an interesting side note. Dr. Zheng did not have an explanation for how green tea lends resistance to digestive system cancer. 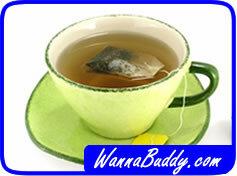 Green tea contains antioxidants, in particular a chemical with a name so horrible it is abbreviated EGCG. This seems to protect cells from damage, which could include damage from invading cancer cells. There is no definitive theory on causation, though. Should you run to the store and get a life-time supply of green tea? It probably won’t hurt. Be aware that green tea has caffeine, and some people are sensitive to caffeine. The caffeine helps the rest of us by elevating our metabolism so that we can burn a few more calories while we sit at our desks at work. For those people on blood clot prevention medication, be careful with drinking too much green tea. The vitamin K in the tea could reduce the efficacy of your medication. So green tea fans have yet another reason to celebrate. Raise a delicate cup of tea and toast its newly discovered cancer fighting prowess!